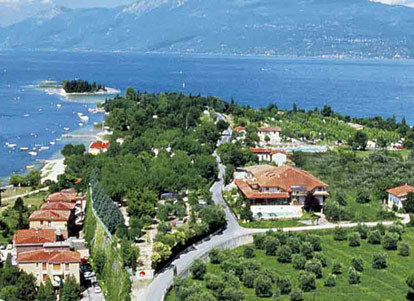 Situated in Manerba del Garda, Italy. 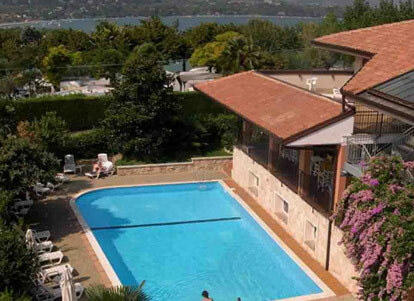 The Miralago is the perfect solution for guests desiring a relaxing holiday at beautiful Garda Lake. 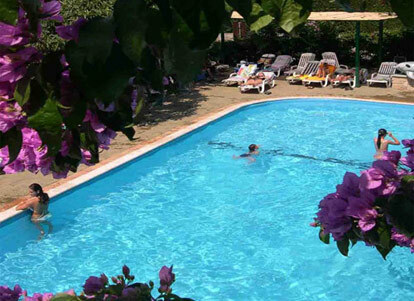 Centrally located, the hotel is just 100 metres from the lake, and is within walking distance from both the centre of Manerba and ‘La Rocca’: a beautiful promontory with a breathtaking view of the lake. Manerba del Garda, between Desenzano and Salò, is approx. 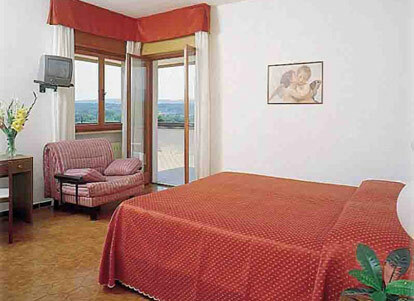 30 minutes from both Verona Villafranca and Brescia Montichiari airports, 45 minutes from Verona and Mantova, and approx. 90 minutes from Venice. Miralago features for his guests restaurant, TV room, meeting room,swimming-pool, ping-pong table, garden, bar with covered terrace, restaurant, solarium, private parking end garage. Lots of possibilities to practise sport in the area, like tennis, golf, sailing, swimming or renting a boat for a pleasant day tour, or simply walking along the lake shore.